This weekend was a fabulous one as far as weather is concerned. It is the middle of August and it was finally starting to feel like summer in Mid-Michigan.... until yesterday. This weekend, it was easy to work up a sweat while doing anything outside. Lucy Lou, loves to be outside all.the.time. but when the sun is shining, her black fur is hot hot hot. 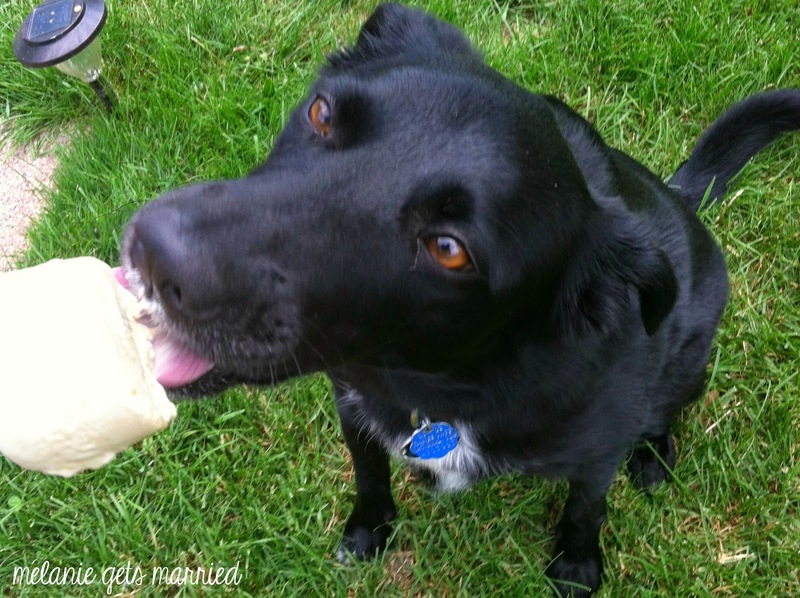 On a hot summer day as a kid, I loved eating popsicles (who didn't? 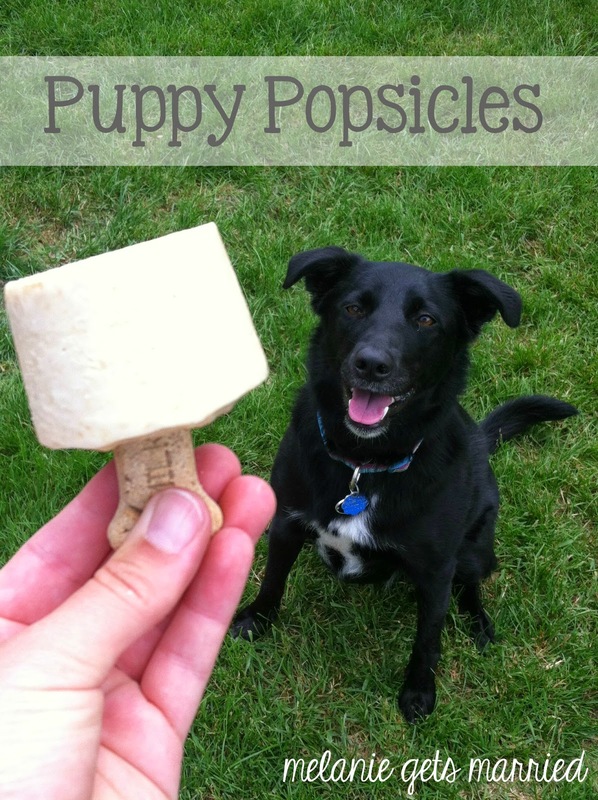 ), so being the cool dog mom that I am, I decided to make Lucy some popsicles of her own. Combine all ingredients, except dog bones. 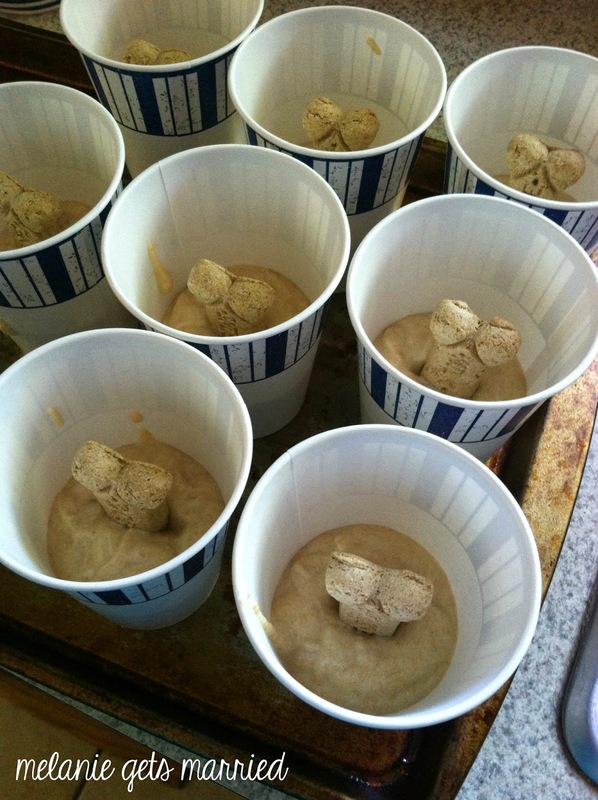 Pour mixture into small paper cups. My cups were a little larger, so I only filled mine 1/3 full. Stick one dog bone into each cup to serve as the handle. When ready to serve, peel away the paper cup from the popsicle. 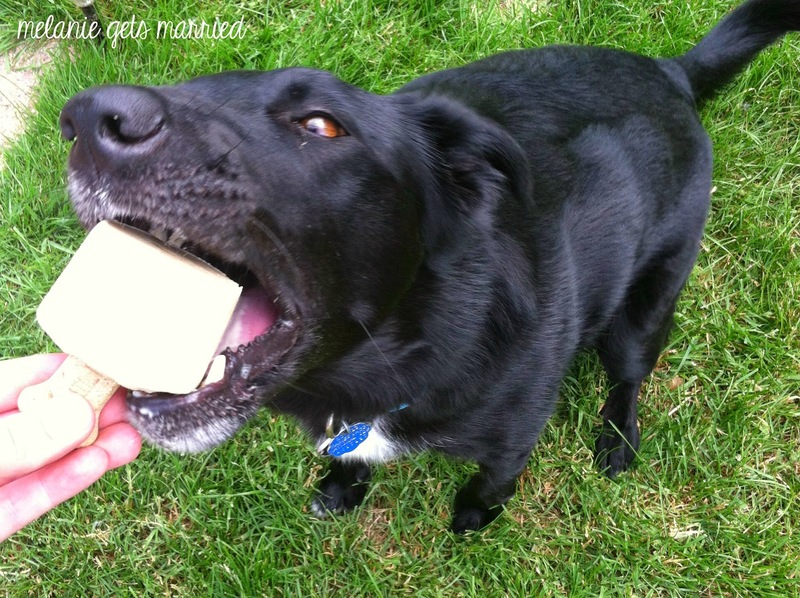 Watch you dog drool over his/her new favorite treat. I was able to get 8 popsicles out of the recipe. Also, if you have a smaller dog: my mother-in-law made these for her rat terrier, and used an ice cube tray instead of cups. 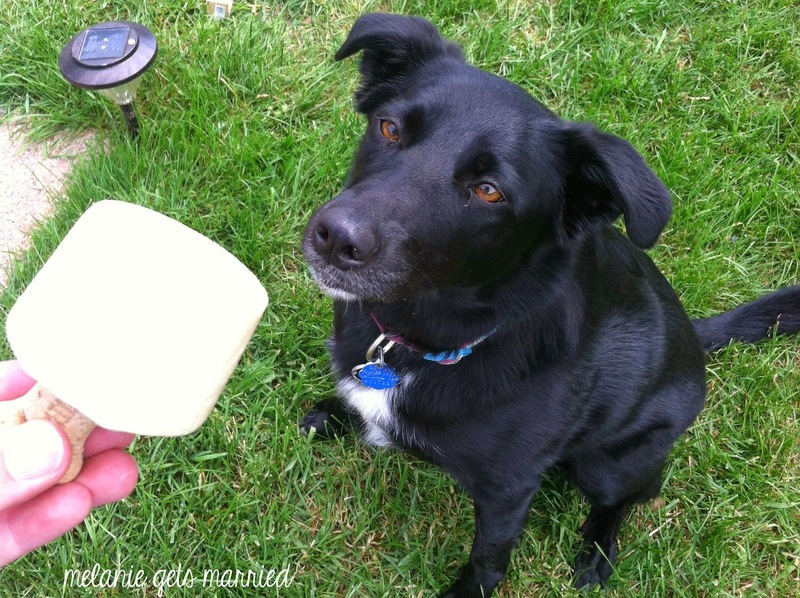 You could also use smaller dog bones to stick in the ice cube tray as well. As you can see, Lucy really loved these new treats. It only took her about 5 seconds after I was done taking pictures to bit the whole thing right off the bone. I hope she realizes how loved and spoiled she is! This is such a great idea! My doggie would love these! Love this idea! I need to make some for my dog, I know he would love them too. My dogs would love these!!! Just stopped by from the link-up, how cute is this?! What a great idea, and a great recipe! These are awesome! i love the dog bone handle. I wish i had a bigger freezer so i could try this. Linking up from the Social Media Mixer. Thanks for joining!! Lucy is adorable! I will have to make these up for my pup, Delilah. She would LOVE these, especially in the Texas heat. Thanks for sharing! I will be featuring these on my page at tonight's Merry Monday Linky Party. Be sure to come back to check it out!